To support Wartburg College efforts toward sustainability, the 2017-18 academic catalog is available as an interactive online source for curriculum information. While it is the responsibility of students to know and observe all college policies and procedures, students can print the pages and information most relevant to their program. In the future, Wartburg will offer students the option to create their own portfolio of academic information which can also be accessed through a mobile app. Prospective students will have access to the same catalog features to assist them in planning their education. The 2017-18 online academic catalog is the official source for Wartburg academic programs and courses. Students are encouraged to utilize the catalog along with My.Wartburg (and the Advising Worksheet) to plan their path to graduation. The online academic catalog offers many features to assist students, including advanced search options, intuitive navigation, and easier access to Wartburg's main web pages. Students are encouraged to meet with their academic adviser at least once each term and reference the catalog under which they enrolled as degree-seeking. The online academic catalog will be published annually, allowing changes to programs and courses to be more visible for each new academic year. 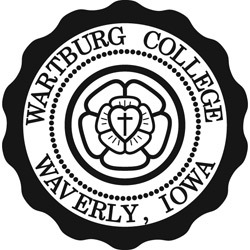 The 2017-18 schedule of classes is available on My.Wartburg.